However, it seems that not everybody was as impressed as we were by Ubisoft’s racer. To help you get an objective view of the game, we’ve collected together a round-up of all the The Crew 2 review scores we could find, from all corners of the internet. There’s no PC Metacritic score yet, but the PS4 version of the game is currently sitting at a score of 72. Meanwhile, the multi-platform Opencritic score is a little lower than that, currently at 68 from 12 scored reviews. 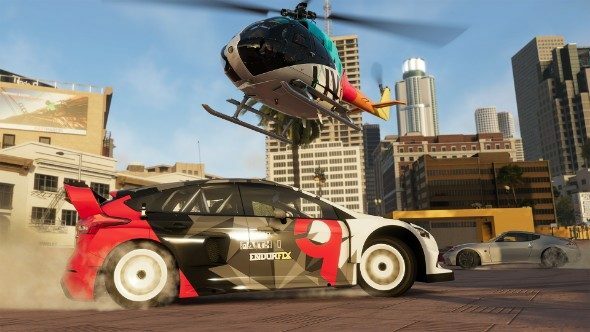 You can check out our The Crew 2 review roundup below. Unless otherwise stated, all reviews were done on PC. It’s also worth noting that some major technical issues on PC, which prevented players from accessing the game entirely in some cases, have seen a particularly low user score on Steam. At time of writing, The Crew 2 reviews are ‘mostly negative’, with only 36% offering a positive take on the game. It seems that despite the extra scope of Ubisoft’s open world, it doesn’t quite hit the mark. The ability to transform seamlessly between plane, car, and boat is admirable, and well executed, but The Crew 2 is held back by a bland open world and basic driving controls.